Rex Navarrete Live at the Solaire Resort & Casino - Hello! Welcome to my blog! Fil-Am Rex Navarrete, the 2011 Aliw Awardee for Comedy is back in Manila for a special one night only show! Navarrete started doing comedy at the age of 19. His portrayals, which ranged from his ESL teacher Mrs. Scott to his Uncle Boy and to Maritess the domestic worker gave him the voice to air his thoughts on issues and speak about things that otherwise wouldn’t be mentioned. Navarrete gathers all of his material from what he calls “real Rex moments,” reality and shared life experiences. “I think everything has humor; you will always find humor. I don’t always make stuff up. 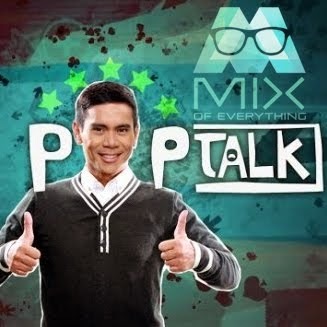 Even though most of my material is geared for a Filipino audience, if you’re smart enough you’ll understand the universality of it”, he explains. He travels all over North America, touring cities such as Los Angeles, New York, Seattle, Montreal, Toronto, Vancouver and Hawaii doing his one-man show. He has brought his act to the peoples of Germany, Austria and Switzerland. His next plan of attack is to perform in the United Kingdom, where fans eagerly await his arrival. Navarrete has performed alongside notable headliners such as George Lopez, DL Hughley, Paul Mooney, among others. He has released several comedy CDs and produced, directed and released live standup DVD concerts. Navarrete’s fourth live comedy album, “Live at Cobb’s” is available on iTunes worldwide, as well as the reissue of his original three CDs in digital download format. 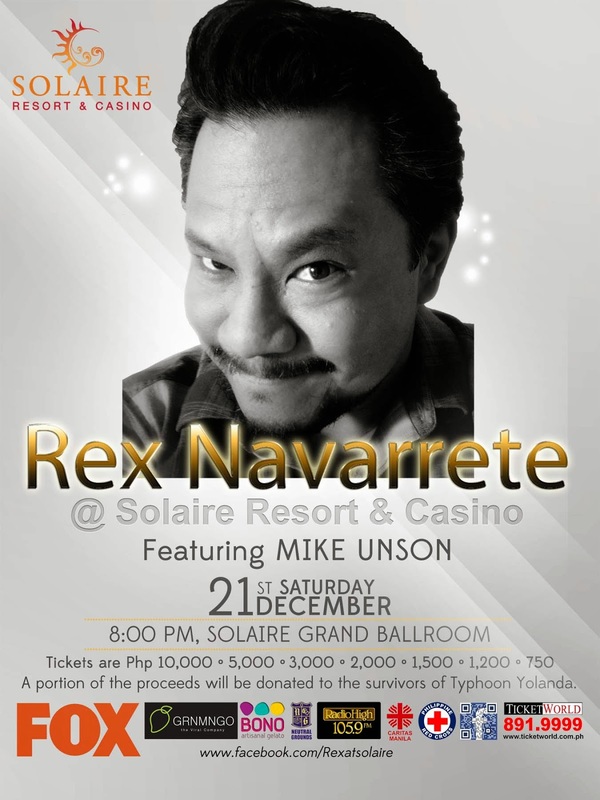 Catch Rex Navarrete live at the Grand Ballroom of the Solaire Resort & Casino on Saturday, December 21. Opening the show will be Mike Unson. Tickets start at P750 and are only available at Ticketworld outlets and www.ticketworld.com.ph A portion of the proceeds from the event will be donated to the survivors of typhoon Yolanda. The event is co-presented by Solaire Resort & Casino and Fox International Channel. Sponsors include GRNMNGO, Bono Artisanal Gelato, Neutral Grounds, Don Papa Rum, Radio High 105.9 and 99.5 Play FM.